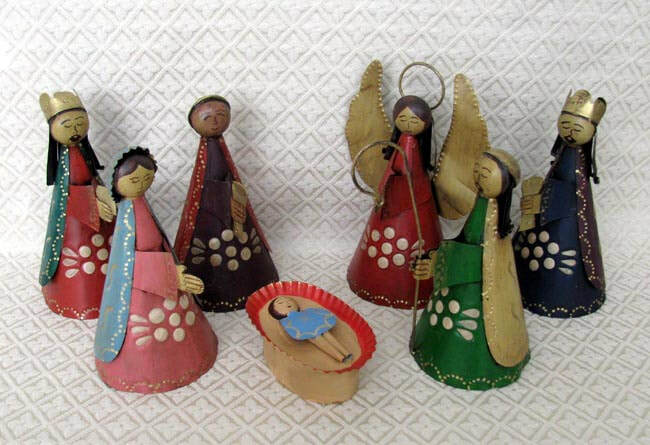 This Mexican Nativity scene is handcrafted hojalatas, or handworked tin. Each piece is also hand-painted. The seven cone-shaped pieces include Joseph holding a staff, Mary, baby Jesus, an angel, and three kings with gifts. The figures stand 6 inches tall.